Nice work, hopefully someone will try this out and make a video! EDIT: Have you made out how many BBs that's supposed to fit in it? I met someone at Houston last weekend taking about making a shot mag with 3D printing. Is that you? That was me lol. I downloaded this one and I noticed the dimensions were not the same as my 1:1 scale. I haven't had time to thoroughly check this one though. I will print a version this week and let everyone know how it goes. Well. very nice to meet you. Yeah I was the one talking to you and also with the Laylax guy. Unfortunately this is the reply I got back from a rep at i.materialize. If I open the object in 3D builder it actually tells me there might be an error printing the model but it doesn't say where. Lucky the rep explains that one of the walls being to thin is the issue. Once I get home today I will try and thicken the the model and reprint aspa. 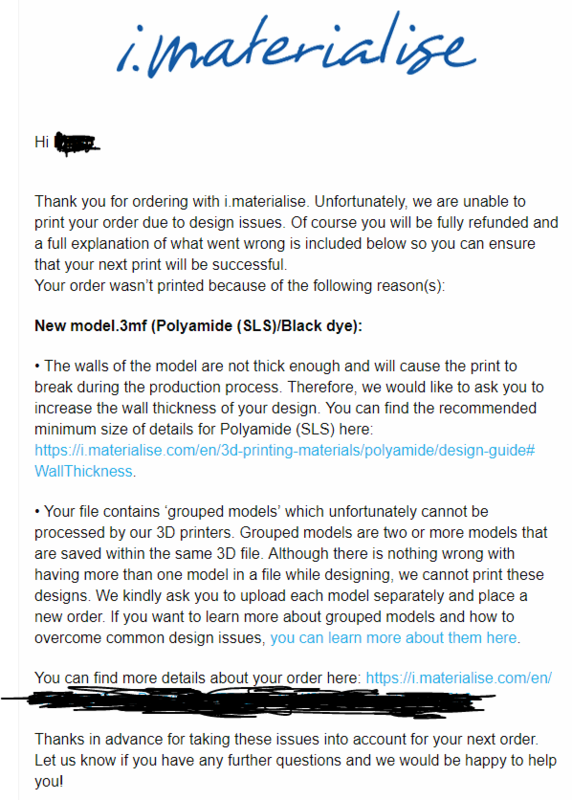 Also I looked up the printing requirements and I believe as long as each wall is 0.8 mm thick there shouldn't be an issue printing. 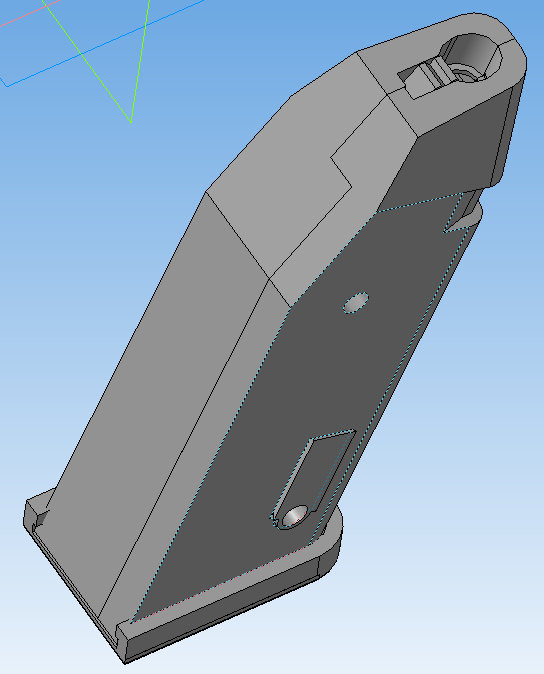 Also the printed model will have a deviation of 0.3mm +/-. So fingers crossed. Nice to meet you as well. The vector was my first krytac and it was a good choice. Now my friend wants one. I submitted the design to 3D Hubs and it passed, now I just have to wait for it to arrive in the mail, earliest arrival date is the 27th. Sorry for my late response I was playing with the mag soon as I got off work today. Here is what I was able to find. 1. The magazine fits perfectly in the vector mag well. I would shave off 1mm from the bottom if you want it to be flush with the bottom of the vector. 3. 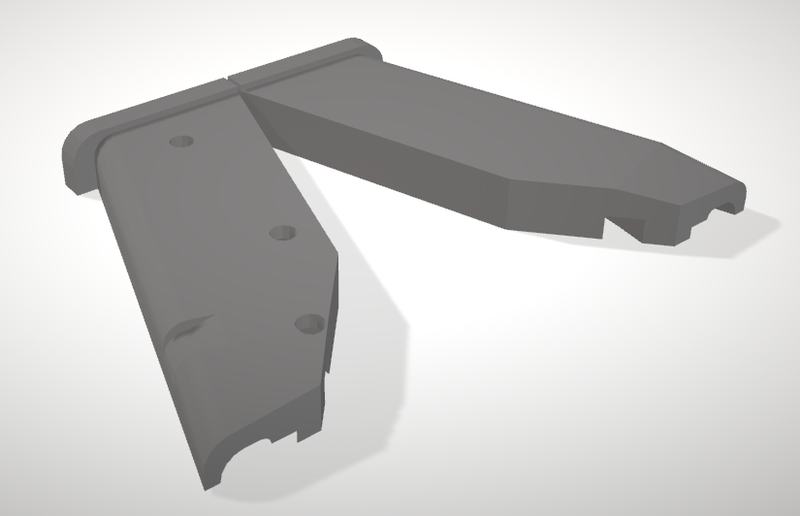 The spring channel needs to be ~1mm wider to fully close the magazine with the spring inside. 4. I sanded down the two inside faces to get an even close when screwing the magazine together, otherwise there is a noticeable seem, I noticed the spring preventing the mag from closing before I decided to sand the inside faces. 5. The area that contains the spring for the BB lip needs to be wider, the spring would not fit, preventing the mag from being pressed together and and lip keeping the BBs from flying out had to much force preventing it from moving freely. 6. The curve of the spring channel is too sharp at the bottom back to allow the spring to fully function. 7. The BB follower attacked to the spring could not move freely, because of #3. 8. The pin at the top that keeps the spring in, is perfect, so is the attachment. 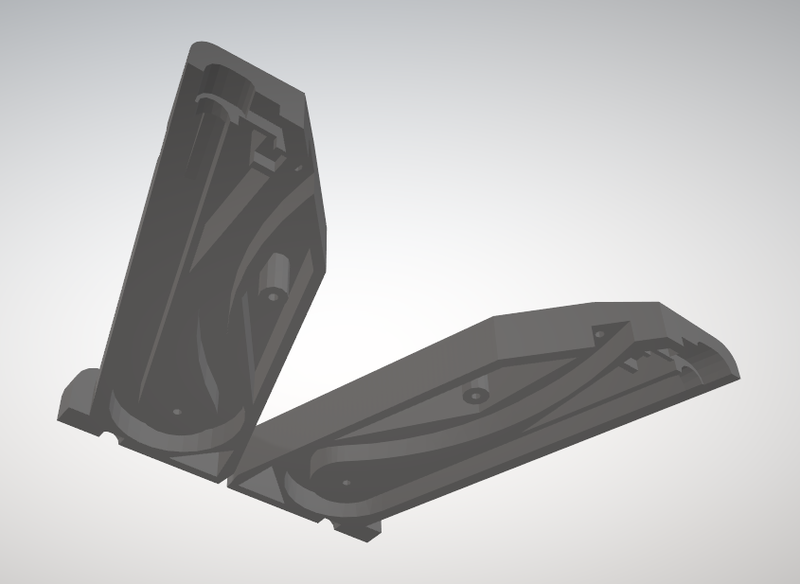 To remedy issue 6 would try adding a mag plate, similar to the Glock mag extended base plates to the design. 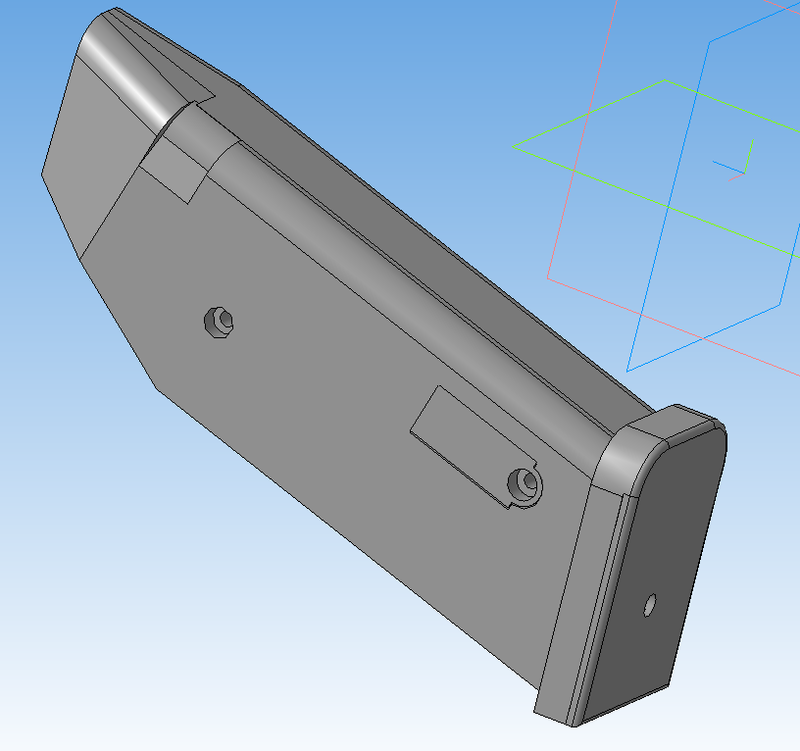 this would allow more space for the spring channel to curve and not be too sharp as to prevent the spring from moving. I am sure the spring needs to be cut in order to fit in the mag properly, however I didn't cut mine to find out. If possible, try to find other issues and tell if you'll manage to make it function, thanks a lot! The last few days I have tried to find a way to actually close the mag once screwed in. I am not sure if a higher quality print will solve the issue: The inside of the mag sits on top of each other leaving a gap to see inside the magazine. If possible what would be a better printing material to resolve this. I am asking because I don't normally 3D print objects lol.